Waste oil is used and contaminated by physical or chemical impurities, such as tyre pyrolysis oil, plastic oil, crude oil, fuel oil, used engine oil, raw oil, waste washing oil, heavy oil etc. If they are not properly disposed, they will pollute the environment seriously. As the oil resources decrease, oil price is rising continuously. So there is an urgent need for an alternative of oil resources. 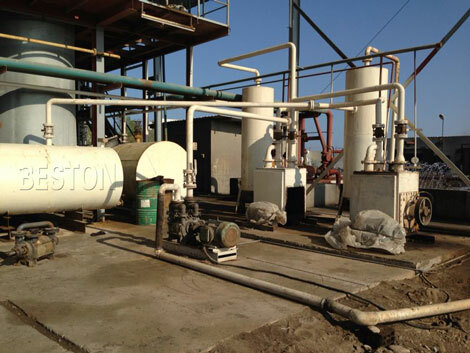 Based on the current situation, the Beston waste oil distillation plant is launched in the market to improve the environment, help relieving energy crisis as well as creating profits. 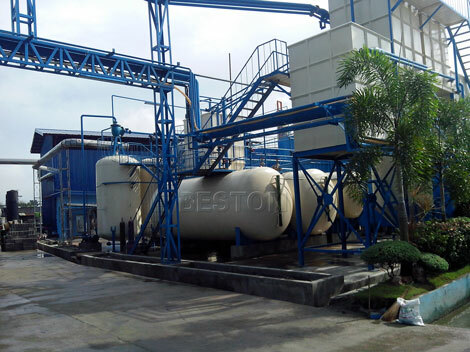 Beston waste oil distillation machine utilizes the distillation/refining technology, which can effectively remove the particles, colloidal matter, acid and odour from waste oil by acid-treatment and filtration. 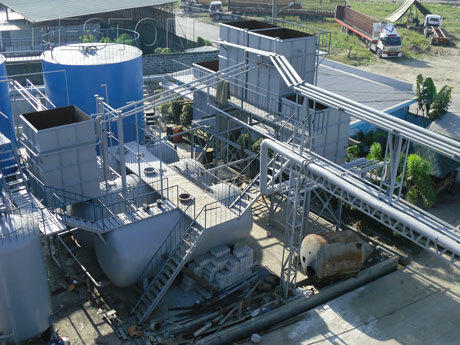 By using this waste oil refining equipment, we can convert waste oil into qualified diesel oil, which has clean and transparent color and qualified smell. With high economic values and prices, the diesel oil can be widely used in low speed engine and generators, such as digging machine, loading machine, road roller and so on. 1. Pre-treatment device for raw material: waste oil is fed into refinery boiler after pre-treatment. 2. Refinery system: heat the waste oil to working temperature by using fuel oil, gas, coal etc. as heating materials. In the meanwhile, there are stir system and heat preservation system. 4. Interim storage system: base oil and diesel after cooling are stored here, and then put into oil tank. 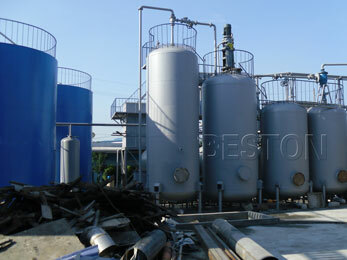 Speaking of generating diesel from waste by waste oil distillation plant, diesel oil yield is the most important issue. There are many factors affecting the diesel oil yield, such as the raw materials or the water content of waste oil. For example, the raw material ( like used engine oil) recovery is more than 90% when the water percentage is less than 5%. What’s more, different operation systems have different diesel yields as well. 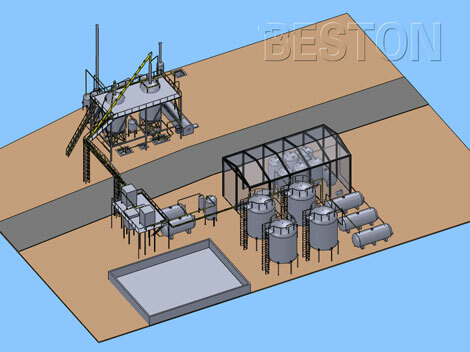 Our crude oil distillation plant has two systems, batching system and continuous system. Continuous system can handle more raw materials in one day, run for 24 hours without stop and have higher yield. We also have unique technology that can guarantee the diesel oil yield reach as high as 80%-90%. The diesel distillation plants adopt three-layer dedusting system to cleanse the exhaust gas to reach European pollution control standards. The complete set of unit produces no smoke and smell with favorable effects of environmental protection.